Let Me Down Slowly by Alec Benjamin ft. Alessia Cara is Conor’s Next Big Thing this week! We're playing Let Me Down Slowly every day at 7:30pm! 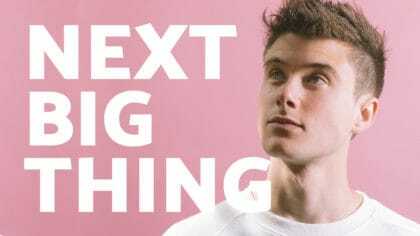 Every week on Fun Kids, Conor picks a tune to crown his ‘Next Big Thing‘! It’s always a song he thinks will be massive in the coming weeks and months and one that he thinks you’re going to love too! This week he’s gone for Let Me Down Slowly by Alec Benjamin feat. Alessia Cara! This song is a remix of the original by Alec and features GRAMMY award-winning artist, Alessia Cara! Hear Conor play Let Me Down Slowly every day this week on Fun Kids at 7:30pm! Plus, Conor’s counting down the seven hottest songs on the planet in the Pop 7 at 7!